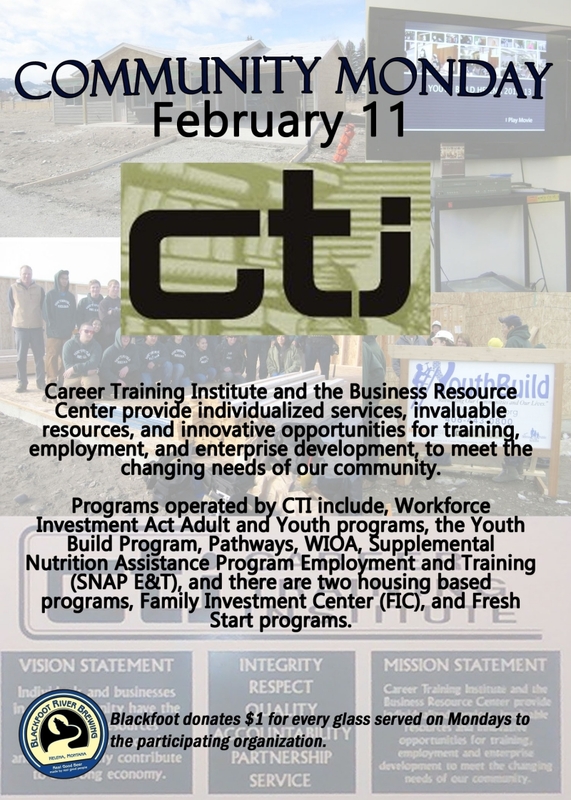 Community Monday with Blackfoot River Brewing Company. Each Monday, BRBC will donate $1 for each beer sold to the participating organization. 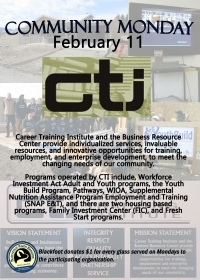 This week's featured organization is the Career Training Institute.